Step into Art was realized in partnership with Nationalmuseum, Stockholm. From the museum we obtained digital originals of a very high resolution, of 12 paintings from its collection. The work was carried out during the school year 2011-2012, integrating the school subjects Art and Swedish language. The students main task was to make a journey in time to the painting they had chosen. Through Photoshop manipulation they appeared, as their modern selves, in the painting and reported in writing about their experiences as temporary visitors in another time. The exhibition, Kliv in i konsten - Step into Art was shown at Nationalmuseum 4th of June 2012 to 3rd of February 2013. Monday 4th of June the museum was invaded by our school, when the seventh graders showed their work before an audience consisting of all the 650 students, aged 6 - 15. More about Step into Art, in Swedish but with a lot of fascinating images, here! In Step into History the seventh graders, who are now eight graders, return to the same paintings that they worked with in Step into Art. The students, now 8th graders will once again appear in the images, but this time their task is to imagine that they are living in the age of the paintings, contemporaneous with the people depicted in them. During the Swedish language lessons they write, in cooperation with their teachers Elin Christensen and Tuva-Stina Lindén, stories about their life in another time. The stories are in the form of internal monologues. 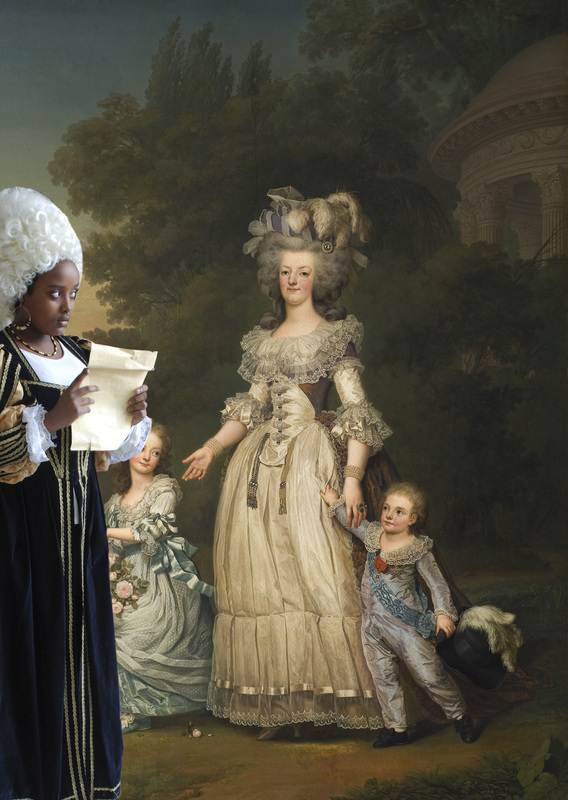 Photographed in period costumes, they will themselves illustrate their stories, make photoshop assemblies and place their photographs in the paintings of their choice. 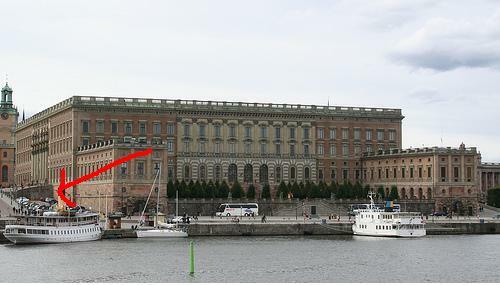 Livrustkammaren, the Royal Armoury, is our partner in the project. 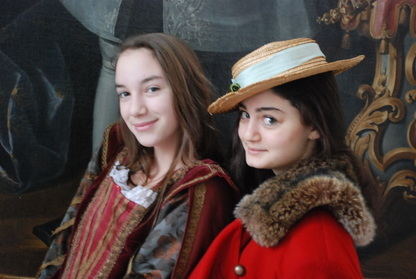 Our students dress up in period costumes from its collection, we use a room in the Royal Castle for the photography sessions and the museum is host for the exhibition, which opens on September 5th. Read more about the Royal Armoury here! On 31st of January all the eight graders visited the Royal Armoury. 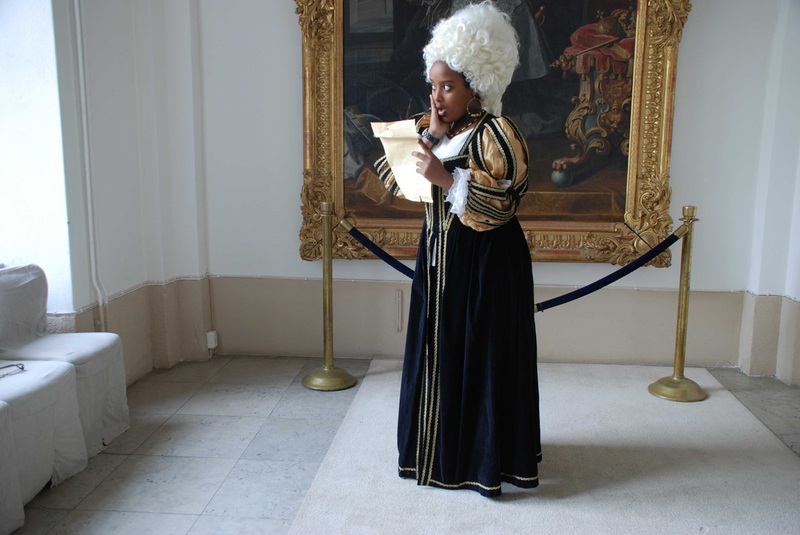 They made sketches of objects in the museum, and they tried on the period costumes from the museums collections. See the pictures here! Eleverna har under svensklektionerna, tillsammans med sina lärare Elin Christensen och Tuva-Stina Lindén, skrivit berättelser kring sina konstverk. . I Kliv in i konsten var ju utgångspunkten att de gjorde en tidsresa till målningarnas respektive epoker. Den här gången har förutsättningarna varit att deras rollfigurer ska vara samtida med målningens tid, och att berättelsen ska ha formen av en inre monolog. Läs elevernas berättelserhär! De ska själva, klädda i tidstypiska kläder från Livrustkammaren, utgöra illustrationer till sina texter. Efter fotograferingen ska de med hjälp av Photoshop frilägga och placera in sig i målningarna från Nationalmuseum. As illustrations to their texts, the students will appear in their paintings in period costumes from Livrustkammaren, the Royal Armoury. On April 23rd, April 30th and May 2nd they visited the museum and the photographs were taken. Enjoy their acting in front of the camera here! 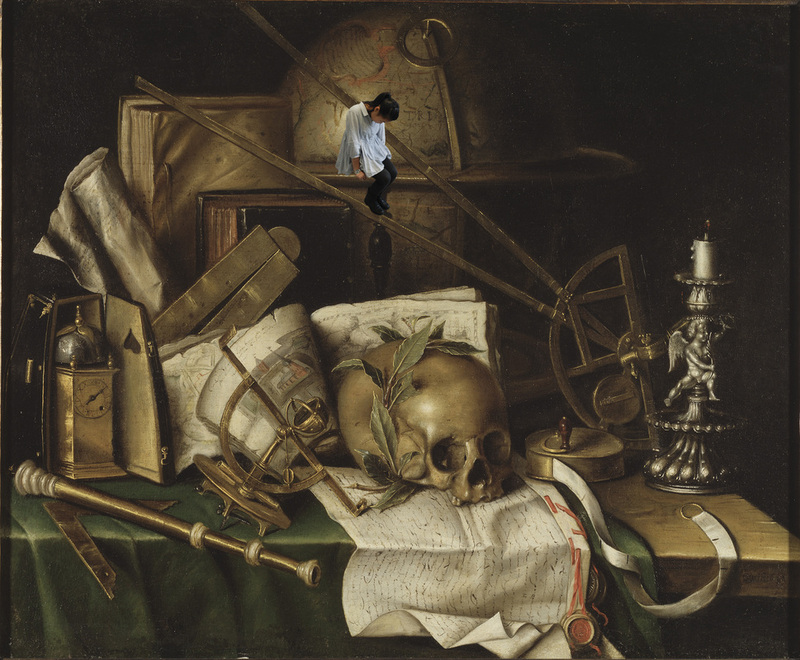 During the first days of September 2013 the students placed the photographs of themselves in the paintings as layers in Photoshop. See all the students montages here! The pictures and the students inner monologues have also been made into a digital book, which can be seen here, although to be fully enjoyed some basic knowledge of Swedish is probably needed! 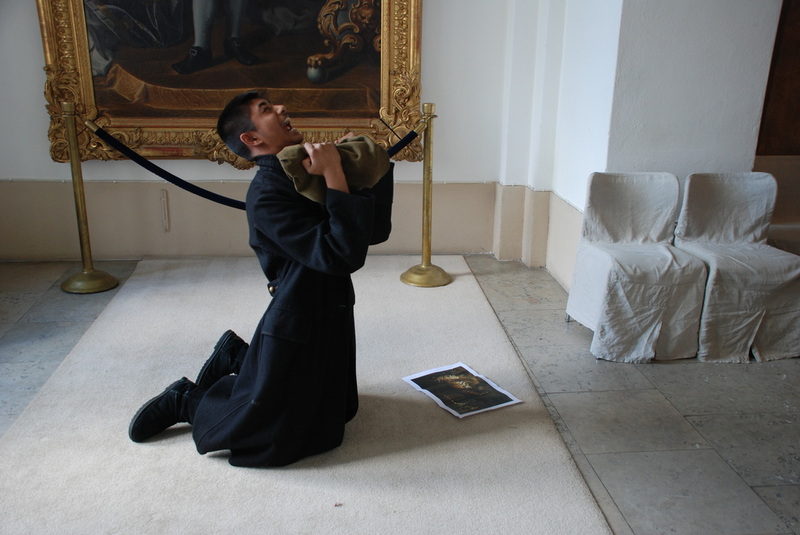 Thursday September 5th the exhibition Step into History - Art Adventures with 9th graders opened in the Royal Armoury in the Royal Castle in Stockholm. The exhibition closed on November 24th 2013. Here is general information in English about the Royal Armoury. Five students artwork as high resolution jpg´s can be downloaded here. You have come to the web pages of the Art Department of Lillholmsskolan, a local elementary school located i Skärholmen, a suburb some 15 kilometres south of Stockholm, Sweden. 650 children study at our school, in the ages 6 to 16. Five other pages are available in English: Step into Art, Listen! Now I´m talking , Educational Art Games, Free Image Editors and Costume Photo.